Fundraising events including a bungee jump and a charity football match have been organised to raise cash to help Marsh community centre get back on its feet after a vandal smashed up the facility. Around £3,500 worth of damage was caused to the centre when a 19-year-old man ran amok inside the building last Monday. The centre reopened on Wednesday but money is still needed to pay for repairs. A fundraising page has been set up to help raise the money needed. Centre manager Rebecca Novell said: “People have really come together over this. Julie Goulding, whose children use the centre, has volunteered to do a bungee jump in aid of the facility, while local convenience stores Spar and McColl’s, both situated in Willow lane near the centre, are holding a charity football match. Loss adjustors visited the centre last Thursday and estimated the damage caused at £3,500. The damage was caused last Monday afternoon. In the kitchen, the cooker was pulled from the floor, the fridge destroyed and other appliances were also damaged. Marsh Community Centre is a lifeline to numerous people on the estate, and is due to hold many events in the coming weeks including a memorial service on August 7 to schoolboy Leon Hoyle, who died last summer. A programme of activities to coincide with the school holidays had also been arranged. 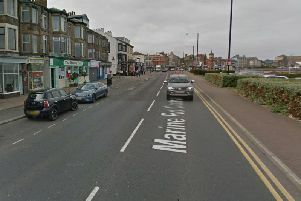 A 19-year-old man arrested at the scene was given a community order with four-month curfew by magistrates after being charged with criminal damage and affray, plus two separate charges of assault.